This week, my goal is to get the master bedroom done. I say that with a little smirk, because we all know that in decor, nothing is ever done. There's always tweaking along the way, right? Not only that, but I have some kind of throat virus that wiped me out yesterday, so not feeling too swell at the moment. Since I've been redoing our space, I took off the cream one, and thought I'd found a new one at Goodwill for $6. It ended up being the highwater pants on the bed. Whenever we had company over, I was secretly hoping no one would see our bedroom. I simply cut off the old and sewed on the new! 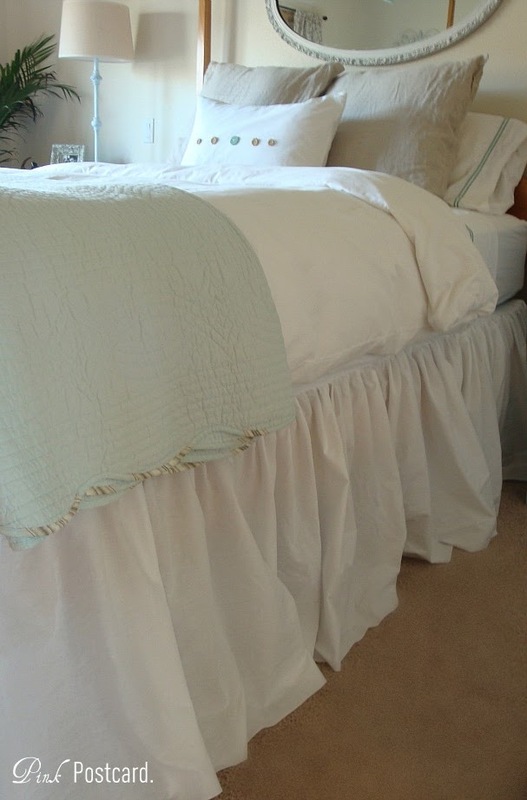 Our bed sits up higher than average, so we always need a 21" drop skirt. These are crazy expensive and very hard to find in stores. 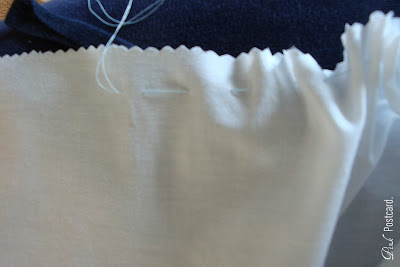 I made ours from a cotton/ poly blend (no wrinkles!) for about $15. 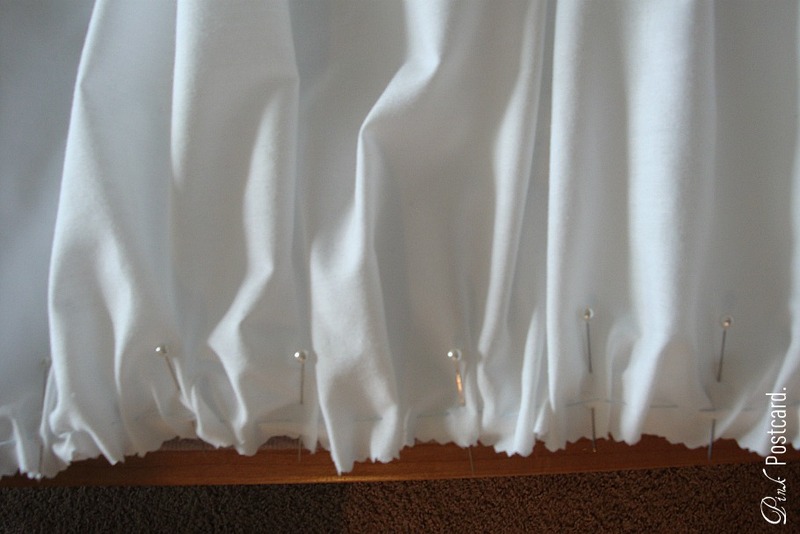 Fabric on the bolt is typically 44" / 45" wide- cut it down the center fold, and there's the skirt! I doubled the length so we would have a nice gather. sewed over the baste stitch. So simple! It did take a little time, but it looks so much better. Today I am hoping to tackle the wall behind the bed- some more billowy fabric to create a romantic backdrop behind the mirror. 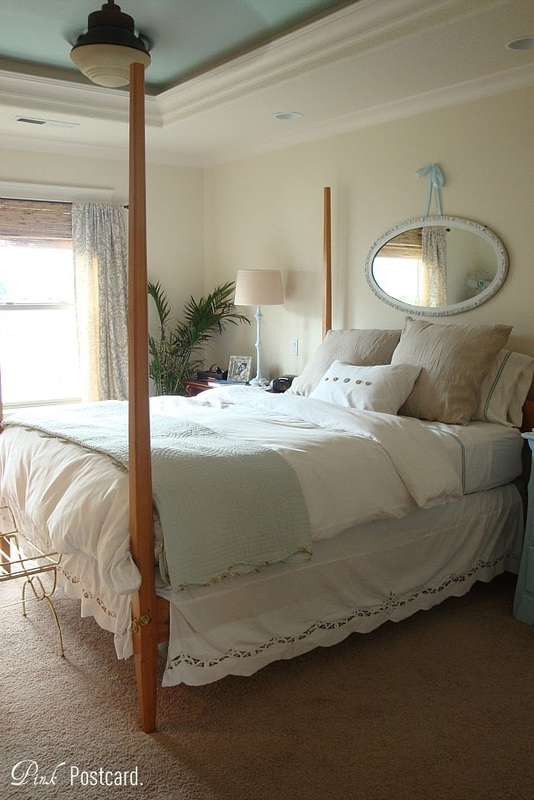 Lots more to come, and I hope to show the complete bedroom reveal by the end of the week! I like the new look so much better! I need to get some texture scissors like that! Looks great. My bed sits up high too, maybe I'll give it a try. I started reading and thought, Well she could just add to that skirt....Hello I scrolled a few more pictures and that's what you did!! Fabulous! My master is on the to do list too, It's up to you to inspire me LOL! Ohhh, your room looks heavenly and comfy! I love all the soft colors, and that touch of blue in the blanket is perfect! I love the new bedskirt! Much better! So ruffly and long, perfect! 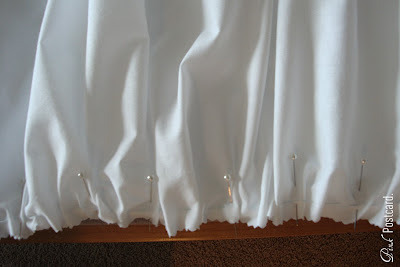 I would have thought you spent an arm and a leg on that bedskirt. It looks great! Your bedskirt looks amazing! I so need to make one. The one I have now is not full enough like yours is. Wow this looks great. 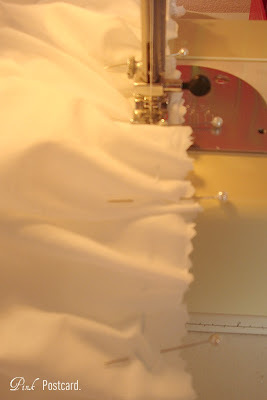 I am in the process of doing my master over too, I'd love it if you came to check it out. 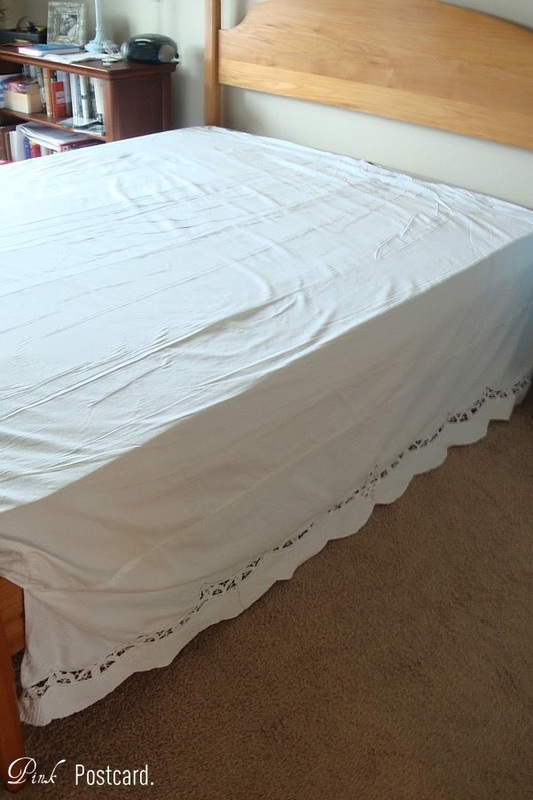 I bought like the exact same bedskirt from target it was $45 for a queen I got it for $35 because it was mismarked, but you still totally beat me on price! Love the room, cant wait to see it all done! Your bedroom is looking great! 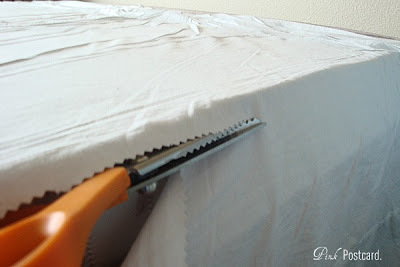 Nice job on the bedskirt. I am in the process of redoing my master right now too. Thanks for inspiration! How pretty and fresh-looking! I think it would be really hard to get up in the morning...especially on a rainy day! Beautiful! It is going to be divine when you're finished my friend. Great to catch up again. Hope you have a great day.